THE KARNIVAL IS COMING BACK TO TOWN! 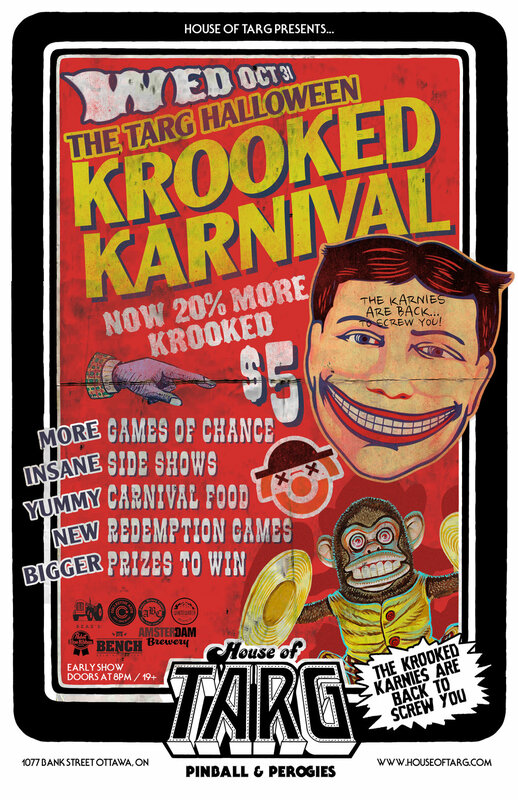 On Wed October 31st the Crookedest Carnies in the universe will return to House of TARG to challenge you at their sinister games of chance… just for one more opportunity to screw you! Do you have what it takes to match Witts??????? Some of your fave local punks pay homage to the kings of Horror THE MISFITS. They will be unloading 16 of their greatest hitz. IT’S THE MOST KROOKED SHOW ON EARTH!